Channel Nine in Perth has axed its local edition of the 4:30pm news. That means there will be a hefty time difference for Perth viewers given the news will be two hours after it was broadcast on the East Coast. It’s believed the axing means four jobs have gone: producer, cameraman, journalist and editor. 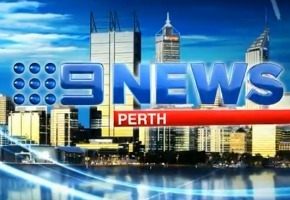 Nine Perth is owned by WIN Television. Sad to see local content in Perth being axed. Bruce Gordon used to be the hero of regional television with his commitment to local news on WIN stations when Prime and Southern Cross had long since abandoned it in many markets. That said I don’t believe it was getting anywhere near 7’s ratings, was it David? I hope this doesn’t mean 7 will cancel their’s too now the pressure is off. I don’t understand Channel 9 having Nine News Now and then half an hour later having the 4:30 news. The 4:30 news uses all the same stories as Nine News Now. That’s disappointing. Although I don’t like the amount of news programs taking over daytime TV, I did think that it was a great point of difference having local news for us over in the West. I’m guessing the reason for this has to do with Perth’s loyalty to Seven and refusal to watch Nine. Channel 9 is now taking 39% of WIN Perth’s revenue under the new affiliation deal and will take the station over as soon as the reach rule is removed. Why would you bother watching news 2-hrs old (3-hrs in Summer) when real-time news is available on ABC24? And, I think, on TVW7. That’s a shame. I used to watch that or the Seven local news. I refuse to watch delayed Eastern States news. What’s the point?